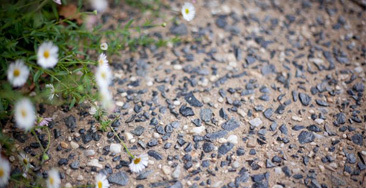 OUR RANGE OF EXPOSED AGGREGATE BLENDS ARE VIRTUALLY ENDLESS. Unlike some contractors, we are not aligned to any concrete company and therefore give you, the customer, choice over the company and type of exposed blend that appeals to you. We’ll explain the differences between one company and the next. They are not all the same. Although all concrete companies supply exposed aggregate, not all companies are skilled enough at making it. Our job is to tell you which ones are, and why. We’ll help you every step of the way; it’s easy. 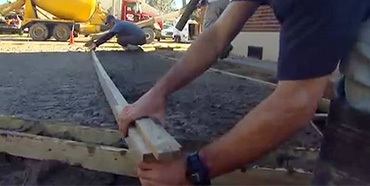 Today we specialise in small concrete driveways for the new or renovated home. 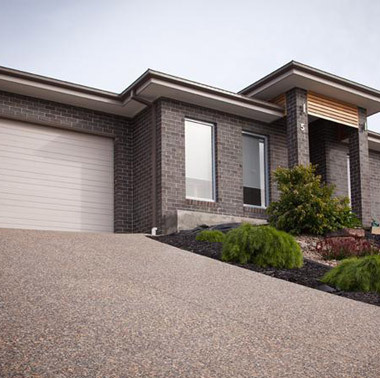 We have office staff to assist you with any enquiry, and a skilled concreting crew set up perfectly to deliver your new concrete driveway to you, quickly and professionally. By combining your property’s natural features with the right colour and texture of your new concrete driveway, we create a stunning new look. From entries and footpaths to driveways, we bring your home improvement dreams to reality. With attractive and functional treatments, the result can be welcoming or dramatic… it’s up to you. It leaves others with a view about your whole property. Simply Driveways will make a statement passersby can’t help but notice. Our flexible driveway options harness form, shape and space to express your style and complement your home’s architecture. Achieve a complete look with sweeping curves and just the right colour and texture.